The London Summer Intensive is a four-week residency for artists offered by the Slade School of Fine Art, UCL and Camden Arts Centre. 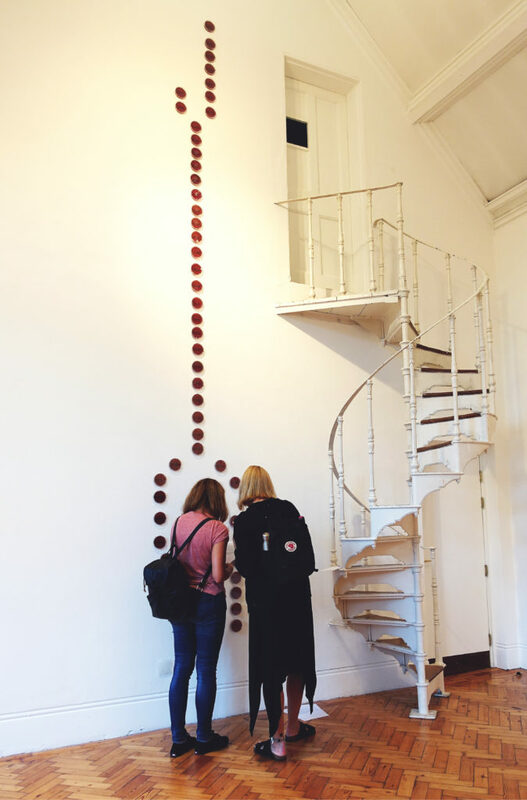 The Slade is a dynamic, world-renowned international art school and Camden Arts Centre is an influential space for contemporary art exhibitions and education. The residency will run throughout August 2018 and will focus on independent studio practice, providing a stimulating and flexible environment for artists from all over the world to experiment and make new work. Supported by artist facilitator Jefford Horrigan and visiting artists, it will reflect the lively, rigorous and open-ended approaches to art-making championed by both institutions. Artists will work in studios and workshop spaces at the Slade Research Centre, Woburn Square in Bloomsbury, close to the British Museum and the galleries of Soho and the West End. The programme will include artist talks, lectures, social events and professional development including studio discussion – in groups and one to one discussions with visiting artists and curators as well as members of Camden Arts Centre’s curatorial team including Martin Clark, Director of Camden Arts Centre. Central to the programme is a focus on working as an artist in London, a city which offers opportunities to investigate multidisciplinary practice and to visit public arts institutions, commercial galleries and artist-run spaces. Each participating artist will shape their own experience, striking a personal balance between independent studio time and the programme. In the fourth London Summer Intensive, artists will have the opportunity to exhibit works and ideas developed during the residency through a preview and showcase of work in progress at Camden Arts Centre’s Artists’ Studio followed by an open studio event at the Slade Research Centre. These events enable wider audiences to see the work and meet the resident artists.